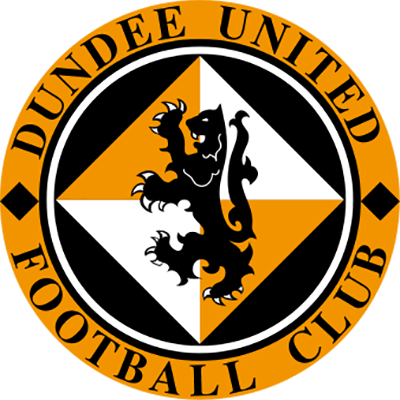 United reached the halfway stage of the League campaign with a stunning victory at Ibrox with both points wrapped up after just 2l minutes by which time the Tangerines were three goals to the good. It took just 24 seconds from the time United kicked-off before Maxwell was picking the ball out out of the net. 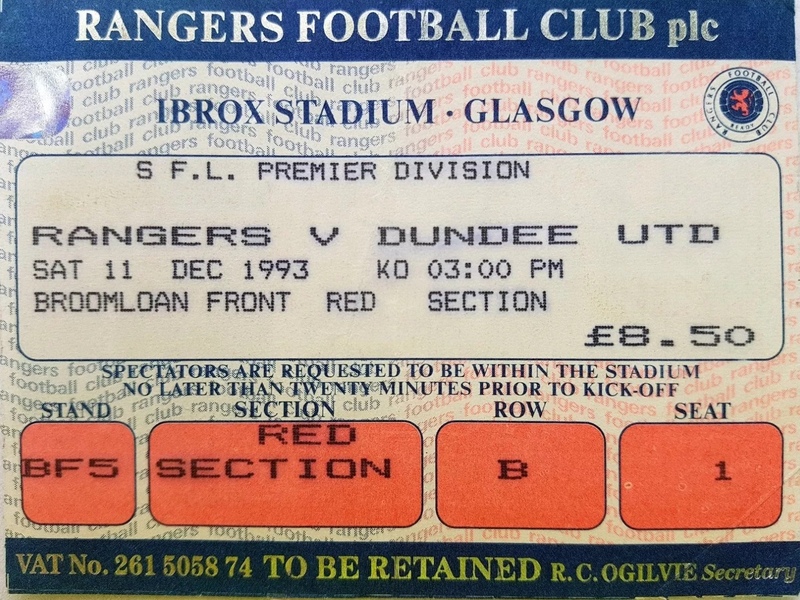 Billy McKinlay flicked the ball back to Jim McInally who played the ball up the left where Paddy Connolly collected it and turned away from the by-line and delivered a right loot cross from which Dave Bowman directed a header down past Maxwell. Rangers temporarily assumed control, but only posed a threat when Brian Welsh was short with a header back to Guido van de Kamp, but the Dutch keeper dashed from his line and smothered the ball at the feet of Hateley. However, a second goal arrived three minutes later when Brian Welsh curled a clearance upfield. Only Paddy Connolly reacted as the Rangers defence remained static and the United striker measured his finish to perfection as he side-footed the ball past Maxwell from the edge of the box. Six minutes later the large Ibrox gathering, though not obviously the band of United supporters in the front of the Broomloan Stand, were stunned into even greater silence when Jim McInally hoisted the ball forward. Once again the Rangers defence were caught playing statues as three United forwards moved forward as Mawell advanced from his area to head the ball clear of Craig Brewster. That brought only temporary relief as Billy McKinlay chipped in from 25 yards. The ball came back off the crossbar to Paddy Connolly, but his effort was blocked by a defender on the line. However, the ball broke to Craig Brewster who scored easily from a couple of yards with the Rangers defence in complete disarray. Shortly afterwards Rangers had lost their second central defender with Gough having joined McPherson in the dressing room due to injury. 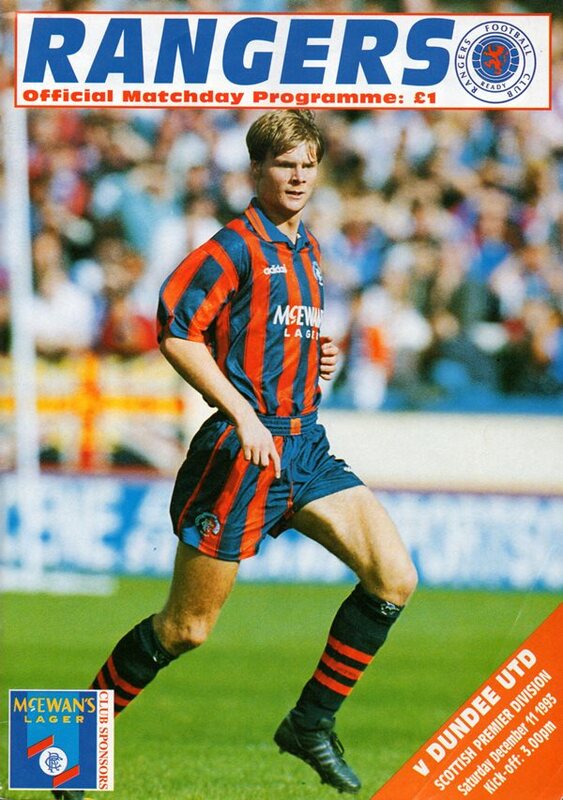 With the hard work done United let Rangers chase the game, but when ever danger lurked and that wasn't too often, a Tangerine body prevented Guido van de Kamp from being unduly troubled. In fact the home side's only clear cut chance was ten minutes into the second half when Guido van de Kamp brilliantly palmed a Hateley header from a Murray cross round the post tor a corner. 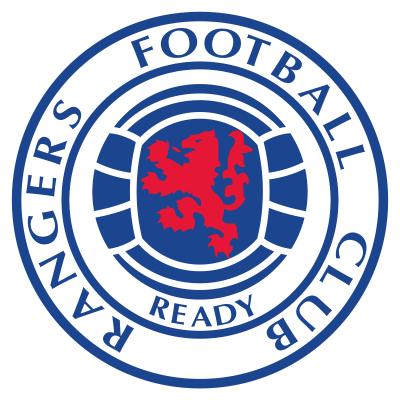 Rangers embarrassment could easily have been greater had Billy McKinlay not shot past from a defence splitting pass from substitute Scott Crabbe. It mattered not though, as United equalled their biggest ever winning margin over any Rangers side!